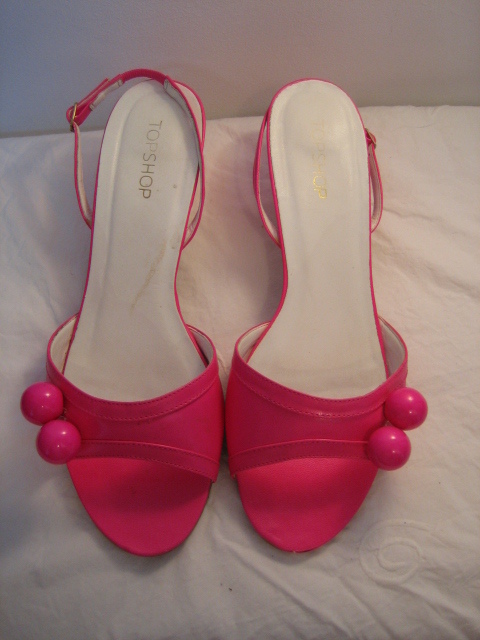 Glorious pink giant beady sandals by Topshop. 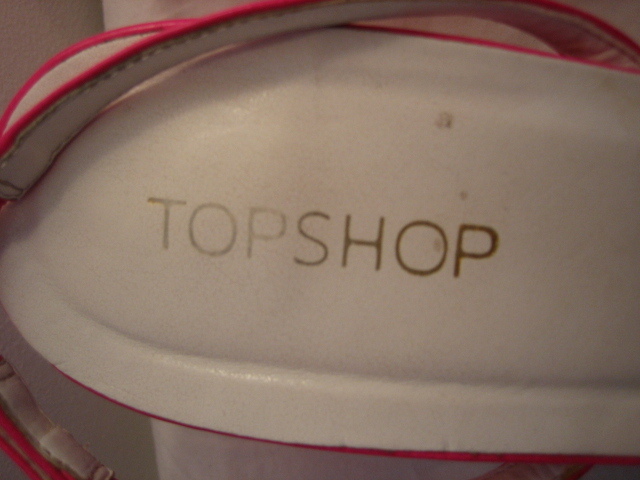 Absolutely glorious, fun sandals from Topshop, in 'only-tried-on' condition! 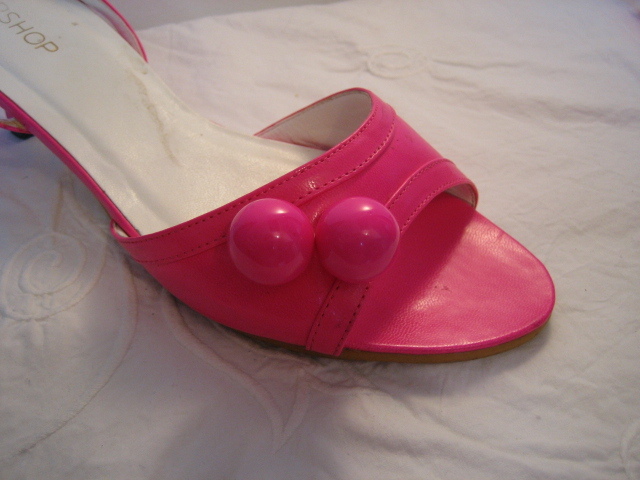 Fuchsia pink, with a tiny kitten heel, sling-back, and two enormous beads trimming the off-side of the toe straps. 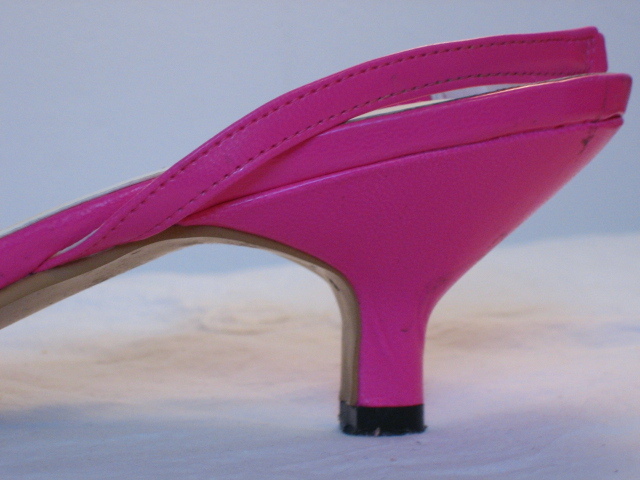 The sling backs have an elasticated panel for comfort. 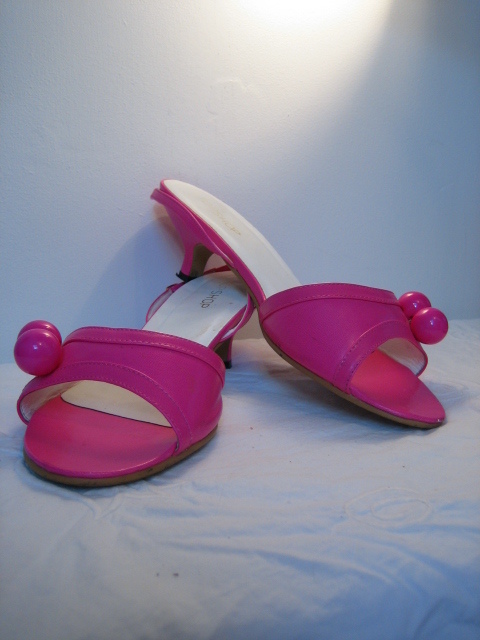 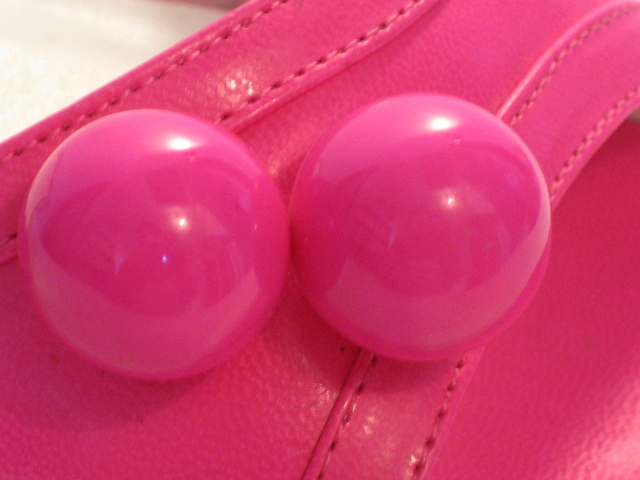 These have been worn around the house, but never outside, and originally cost £35. 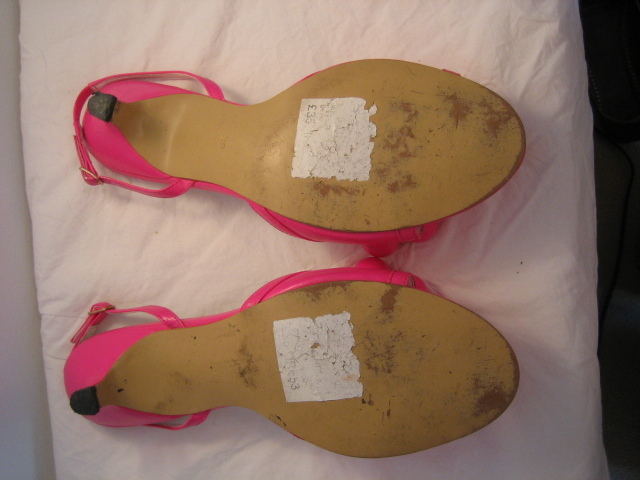 They are a comfortable, modern size 6. 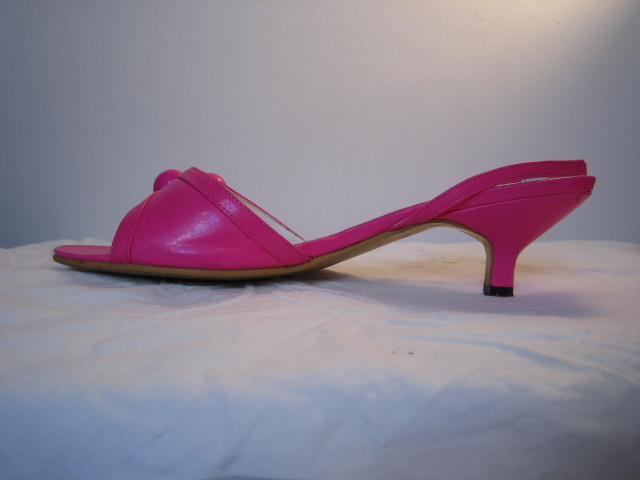 For information, approximate measurements are: width at widest point, 3 ¼ inches (8.3 cms) measured from the inside; length from the inside, 10 inches (25.5 cms), heel height 2 inches (5 cms).